LoftZone Loft Boarding in Loughborough and Surrounding Areas, Safe Loft Storage Solutions For Both Older Properties and New Builds in Loughborough with Fully Insulated Lofts. LoftZone Loft Boarding in Loughborough, Uniquely Designed Loft Boarding System for Fully Insulated Lofts, and Simply the most Cost Effective Loft Boarding System on The Market Today!! LoftZone Loft Boarding in Loughborough Taking Loft Boarding in Loughborough up to Another Level. LoftZone Raised Loft Boarding Has been designed to create valuable additional Loft Storage Space in homes with fully Insulated Lofts. 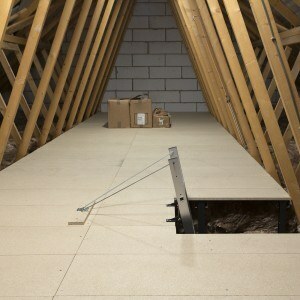 Loft Boarding Midlands are the LoftZone Loft Boarding Approved Installer Operating Throughout Loughborough. We have transformed 100’s of unusable Insulated Lofts in Loughborough Into a Clean, Versatile Storage Spaces by installing the Award Winning LoftZone Patented Raised Loft Boarding System, that has been specifically designed to create extra storage space without compromising on Energy Efficiency. All New Build properties are issued with 10 year NHBC guarantee, if Loft Insulation is either removed or excessively compressed then the NHBC guarantee will be invalidated as the property no longer meets the Code for Sustainable Homes or the current Building Regulations under which the guarantee was issued. LoftZone StoreFloor Has been designed to work effectively where insulation levels are in excess of 300mm which means Unlike Most Loft Boarding Companies in Loughborough we do not need to remove or compress your existing Loft Insulation so you do not lose the benefits of having a thermally efficient home. LoftZone StoreFloor is the ONLY recognised Loft Boading System in the UK that can acheive this, and carries with that the Unique BBA Construction Certification Status. An important consideration when installing Loft Boarding into an insulated loft is to ensure that the loft space and loft insulation combined can “breathe”, interstitial condensation will very quickly manifest itself if the air-flow is restricted causing damp issues and further ongoing problems, this consideration has been very well thought out when designing the LoftZone system, as its elevated position coupled with a fully vented framework will not compromised the air-flow within your loft space. It is vital that the Loft Insulation is not squashed or compressed when Loft Boarding is installed as this can reduce the effectiveness of the Loft Insulation by as much as 75%, Additionally ceiling boards can be put under stress if loft boarding is installed directly onto the joists, squeezing large amounts of loft insulation in between the joists that may only be 75mm in-depth. LoftZone Raised Loft Boardings Unique design means that down lights and other common obstacles that are found in lofts can be easily overcome, bridging over cabling, pipe work and uneven joist is not a problem. 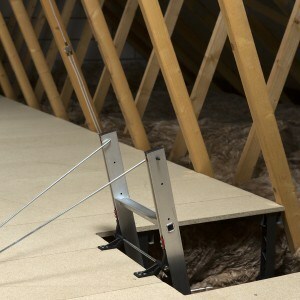 Alternative loft boarding options may mean sinking wires into the joist affecting their structural integrity. 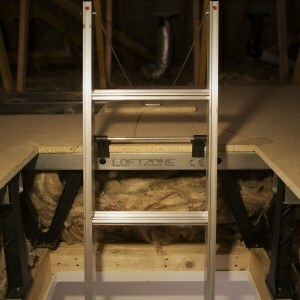 LoftZone raised Loft Boarding is modular and very light in weight, it is very important to take into account the additional weight imposed on the ceiling joists specifically in older properties. Don’t Delay Do it TODAY!! Loft Boarding Midlands © 2019. All Rights Reserved.